I am very lucky to have come from Howth, growing up right beside the sea, all those walks with the dog, breathing in the fresh salty air, sinking my shoes into the soft sand. The seagulls would swoop down low above our heads before diving into the water. Dog walkers would bid each other good day as their four legged friends would chase each other yapping, as their tails would wag back and forth. I now live outside of Howth, but still very close to the sea and never really wanted to be too far away from the sound of the waves. 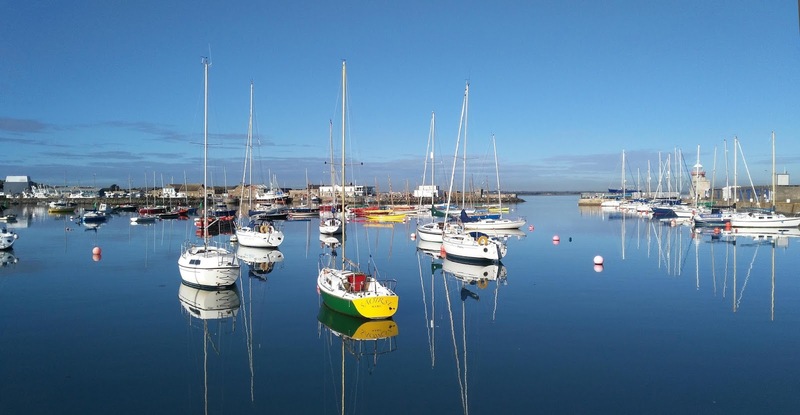 I am a frequent visitor to Howth to see relatives, and often go for a cup of coffee or sometimes a nice meal. I absolutely adore fish, but don’t really like to cook it, just like to eat it. Whenever I go out to a restaurant, especially in Howth, I always order fish. Just over a week ago I visited The Oar House with my family. 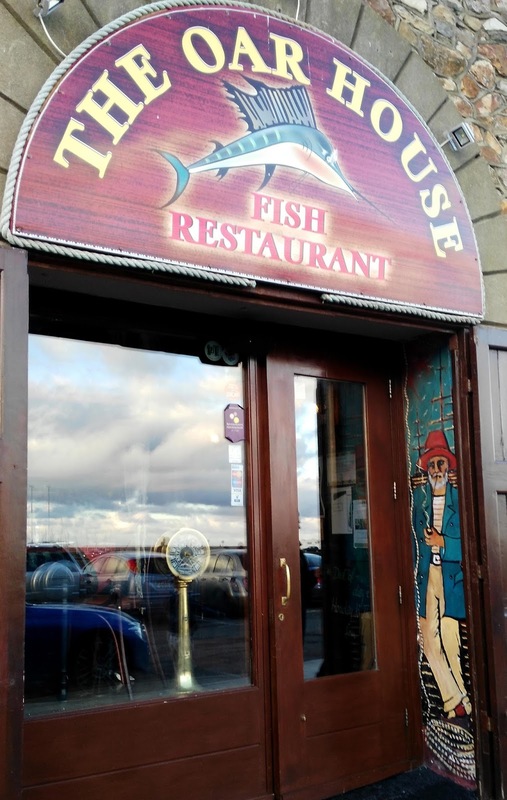 This restaurant is situated along the West Pier with many others like Deep, Beshoffs and Aqua, all overlooking the fishing boats and the sea. The Oar House serves mostly fish but there are some meat dishes on the menu, however the kids like to eat fish which makes it very easy for us when we go out. My daughter loves mussels in a creamy tarragon sauce, followed by delicious fish in a crispy batter and chips. I ordered a mixed platter of prawns, mussels and crab claws with a glass of wine and my husband, who has very basic tastes, ordered the fish and chips. It all tasted so good and the kids had a desert of chocolate brownies with mi-wadi. I cannot fault the food and it always goes down well with my family. We stayed that evening with my mum and the next day went for a walk along the harbour, watching the boats bobbing up and down in the water. We then went to East Café for coffee and cake and chatted with the owners about the weather. On the odd occasion when I do cook fish at home, I normally shop in Beshoffs to buy fresh cod, not long after it comes off the boats. It is lovely fried in a batter or with a pesto and herb crust accompanied with pome frites. After a run around in the playground, we want to treat the kids and can’t afford a fancy restaurant, we would go for an ice-cream in Mauds on the Harbour Road, almost opposite the Yacht Club. You would often see people sitting on the benches provided, eating their take-away fish and chips from Beshoffs and now Leo Burdocks has opened up and that seems to be very popular. So whether it’s a family meal in The Oar House, a romantic night out in Aqua or take-away in Leo Burdocks followed by Mauds ice-cream, Howth has something for everyone.